A large (over 2000 sq.ft. 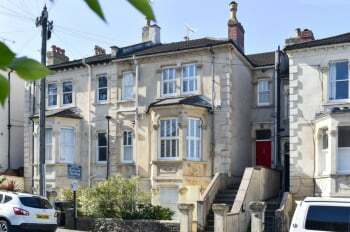 ), 5 double bedroom Edwardian semi-detached family home in a lovely location in Cotham, close to Cotham School. 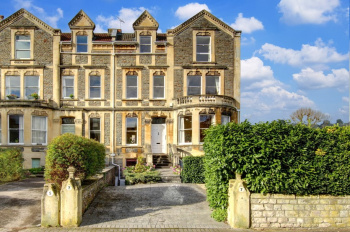 Enjoying fabulous cityscape views over Redland and Clifton, many original features and a pretty town garden. 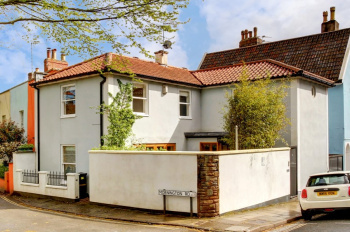 Sold for the first time in over 60 years, this much-loved family home has been cared for with much of its original period details retained, whilst having had recent improvements including a well-appointed modern kitchen and bathroom. 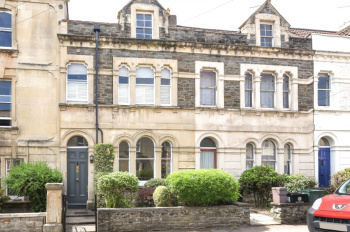 An inviting and well-proportioned Victorian end of terrace townhouse located on a desirable road and enjoying generous living space including a 26ft x 14ft through sitting room and a large sociable 26ft x 14ft kitchen/dining room. 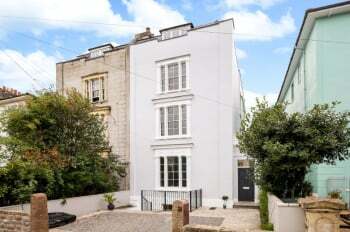 The property also benefits from a south easterly facing rear garden PLUS a 22ft x 15ft garden studio, as well as the rare advantage of off street parking. 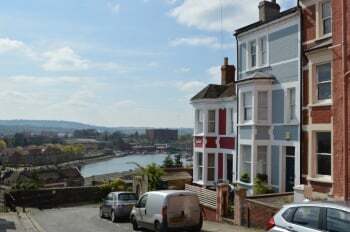 Situated within just a stone's throw of the local shops, restaurants and cafes of Whiteladies Road and Blackboy Hill and therefore within easy reach of the green open spaces of Durdham Downs and bus connections to central areas, as well as being within just a couple of hundred metres of St Johns Primary School. Separate garden studio room (22ft x 15ft) provides valuable additional space which could fulfill various uses. A versatile and roomy (1,951 sq. 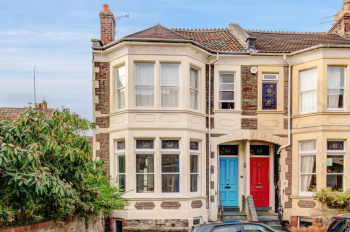 ft.) 4 bedroom end of terrace Victorian family home situated in a peaceful cul-de-sac high up in Clifton close to Durdham Downs and Whiteladies Road and enjoying a superb and larger than average (44ft x 19ft) south-westerly facing level rear garden. Exciting potential to cosmetically improve this well located home to one's specification and taste. 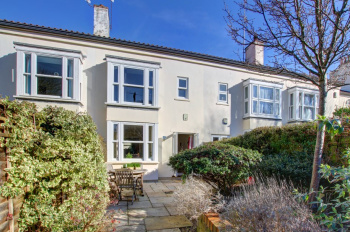 Fabulous location in a peaceful cul-de-sac with a handy pedestrian access lane through to Wellington Park which leads onto Blackboy Hill/Whiteladies Road with its selection of shops, restaurants and cafes, as well as a weekly farmers market. 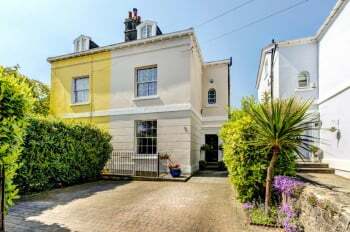 The property is also within a gentle stroll of Durdham Downs and bus connections to all central areas, as well as being within 300 metres of St John's Junior School. 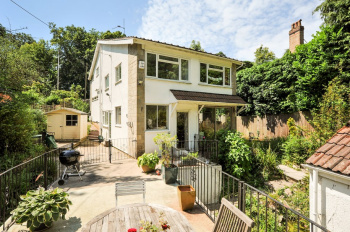 A stylish and well-arranged 4 bedroom contemporary mews house tucked away in an enviable location close to Whiteladies Road and Durdham Downs. 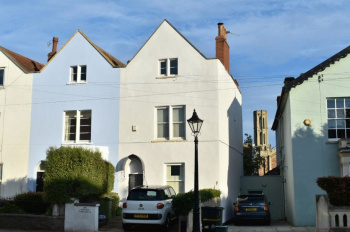 Offering well-presented lateral accommodation over 2 floors, a lovely south westerly facing walled town garden, further decked side courtyard and a useful storage garage/bike store. Creative and well-designed interior with a pleasing layout and contemporary styling, as well as plenty of clever space saving storage. 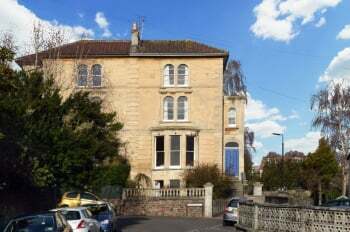 Fabulous location on a friendly road within a short stroll of the shops, cafes, restaurants, bus connections and weekly farmers market of Whiteladies Road/Blackboy Hill, as well as being very close to the green open spaces of Durdham Downs and on the doorstep of the well-regarded St John's Junior School. 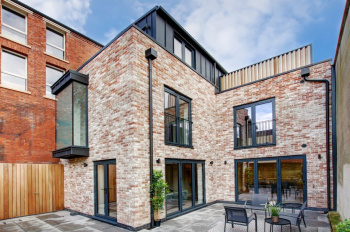 An impressive, stylish and highly individual 3/4 bedroom newly built contemporary city home located in the historic Kingsdown area and offering a bespoke high specification interior, a sunny garden and a spectacular rooftop terrace with far reaching cityscape views. Brand newly constructed by local independent developers with high standards and an attention to detail. This striking new home has quality interior fittings and roomy accommodation (over 1,500 sq. ft.). 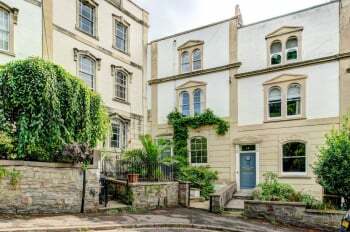 Prime location in a sought after historic area, this stylish house is nestled above the BRI hospital just a short stroll down to the city centre, Bristol university, Park Street and the Triangle, whilst also being within easy reach of Clifton Village, Whiteladies Road and the harbourside. The perfect location to enjoy the city. 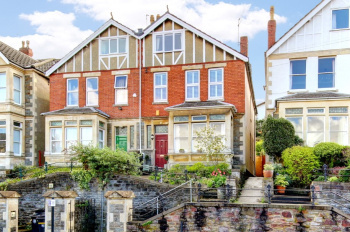 A rare opportunity to purchase a charming, homely and civilised 4 bedroom Victorian period town house with a south-west facing garden offering a calm and sunny oasis. 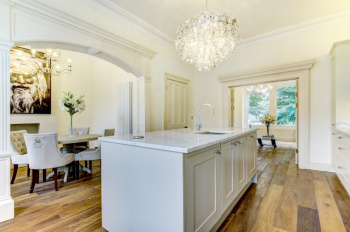 The house has a wealth of character and period features and enjoys a special atmosphere. 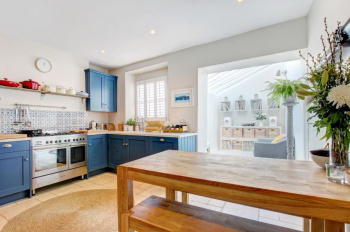 Set close to the popular Chandos Road that offers an interesting range of independent shops, cafes, bars and some extremely well regarded restaurants. Convenient for Whiteladies Road with a variety of amenities, bus and train links and Durdham Downs which offers an abundance of green open recreational space. 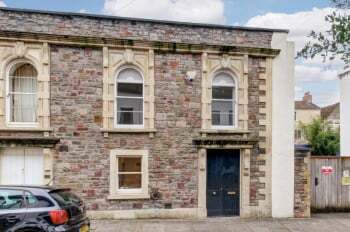 Ground Floor: entrance hall, sitting room, kitchen/breakfast room, butler's pantry and cloakroom/wc. First Floor: landing, bedroom 1 with en-suite shower, bedroom 2 and bathroom/wc. Second Floor: landing, bedroom 3, bedroom 4.